If your travels aren’t posted on the ‘Gram, did it even really happen? Now, more than ever, vacationers are seeking out the world’s most Insta-worthy hotels and are planning their trips around snapping the perfect shot. From hotels offering sun-filled beach vibes to wondrous winter wonderlands in the Arctic and unlikely neighbors in Africa, no matter the location, no matter the style, these spectacular hotels are all simply picture-perfect. We are bringing you the most photogenic and Instagrammable hotels from around the world that will undoubtedly incite infinite wanderlust and have the likes rolling in! There is a reason the Anantara Kihavah has been crowned the “Most Instagrammable Hotel in the World” by Luxury Travel Advisor in 2018. The resort features 80 idyllic thatched-roof overwater villas, while others sit beachside – all boasting a magnificent aesthetic that will leave you breathless. From the infamous Maldivian turquoise waters and snow-white beaches, setting the perfect backdrop for those easy breezy beachy photos, to your own little private slice of paradise, this resort reigns supreme. Forget breakfast in bed, throw on your sunnies and indulge in an insta-worthy breakfast spread in a hammock over the azure Kihavah lagoon or a floating breakfast as you take in the panoramic views of the lush hills surrounding the resort during a morning dip in your private infinity pool. You certainly won’t want to miss capturing sharks, turtles and tropical fish swimming by as you are savoring gourmet dining at the world’s first underwater restaurant. The Amangiri is a rare gem that is sure to give any visual storyteller all the feels. 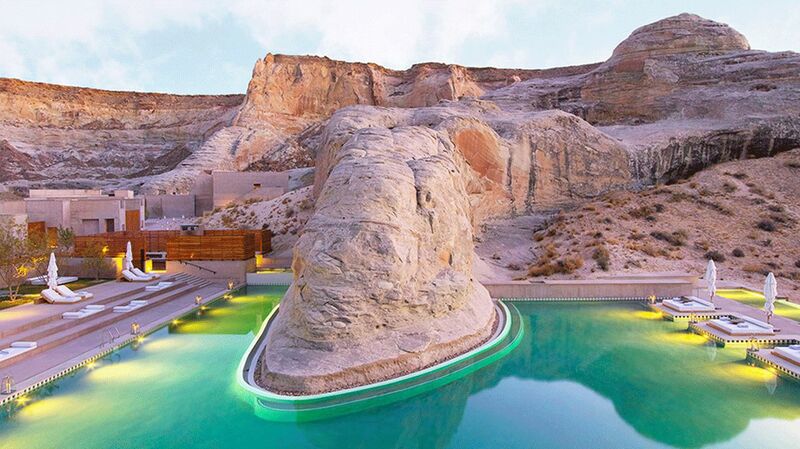 With striking landscapes of the American Southwest, a sleek and minimalistic design and colors of the resort changing as the sun rises and falls, the Amangiri is an Instagram-worthy hotel that should be added to your bucket list. The magnificence does not just rest within the resort, the true beauty is etched into the surrounding nature. Explore red rock country with its staggering landscape of canyons, mountains, mesas, and deserts, setting the scene for an abundance of timeless photogenic moments. Whether you are soaking up some sun on a dreamy outdoor daybed, or sailing the morning skies in a hot air balloon, you will relish in incredible views and photo ops abound. Tulum is a trendy, palm-fringed beach town that has become a hotspot for social media influencers who are looking for a glamorous beach-chic experience. Tucked between pristine beaches and tropical Yucatan jungles, you will find the La Valise, a boutique beachfront property that has become the Instagram influencer dream hotel, with photo ops at every turn. With only nine villas, the La Valise serves you a home away from home vibe, with a side of pampering, making it the perfect place to enjoy beauty, peacefulness and uniqueness. Your friends and followers may envy you just a tad as you post photos of you lazing your days away on a hammock, swaying in the warm breeze, or relaxing on a plush daybed with a tropical drink complete with a pretty little umbrella in hand. You can’t visit Tulum without exploring some of the incredible cenotes and other Instagrammable hotspots; therefore, the Concierge team is available to curate some unforgettable experiences during your stay. 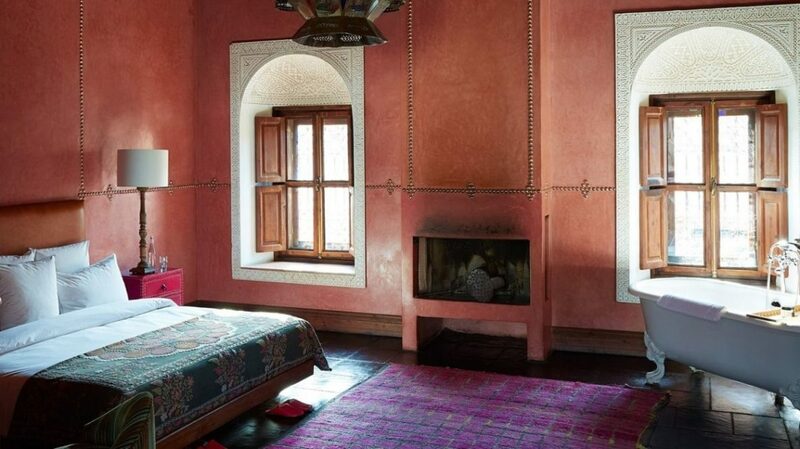 Morocco is an exotic sea of color, textures and beautiful chaos. 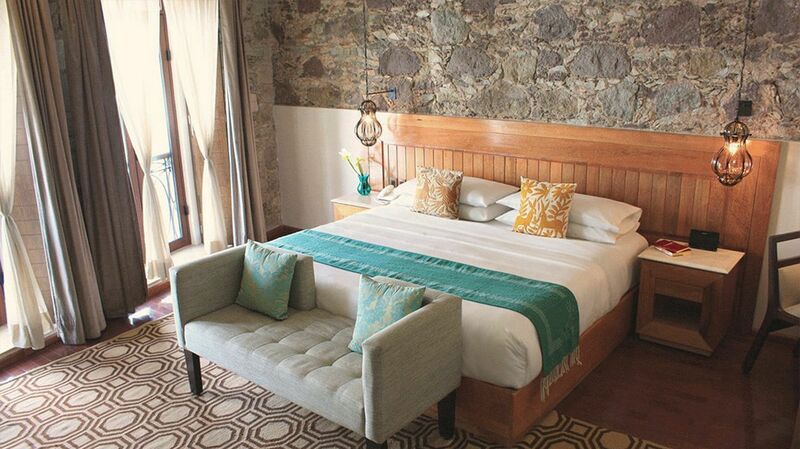 With 28 stylish Instagrammable abodes, the El Fenn is the perfect retreat from which to explore the gems of Africa’s most exotic city. Jewel tones, enchanting courtyards, private plunge pools – this luxurious labyrinth has all the makings of the perfect Insta shot; all that’s missing is you! Enjoy a delicious lunch on the rooftop or some light bites by the pool, but whatever you do, don’t miss the opportunity to cozy up in the corner, with a Moroccan mint tea, and strike a pose on the infamous gold sofa. All that ‘Gramming can be exhausting, retreat to your room and sink into the stand-alone claw-tub, for a soothing and relaxing bath to round off the picture perfect day. 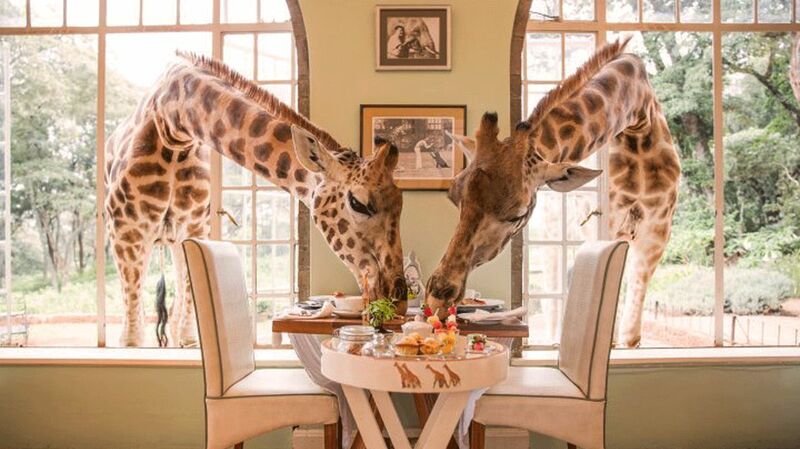 Wake up calls are just a little bit different at the ultra Instagram-friendly hotel, Giraffe Manor, in Nairobi, Kenya. Who needs an alarm when you have world-famous giraffes hanging out right outside your balcony? This exclusive hotel rests on 12 acres of private land within 140 acres of indigenous forest and is home to 20 endangered Rothschild giraffes. Enjoy a beautiful breakfast as these majestic animals casually pop their heads into the second floor window, awaiting your hand-fed offering of delicious treats. Aside from the obvious wow-factor, you can wander the verdant green gardens, relax on the sunny terraces and stroll through the delightful courtyards pausing to bask in the moment and, of course, capture its beauty. Though Instagram may have boosted this hotel’s fame, they have actually been saving giraffes since the 1970s. 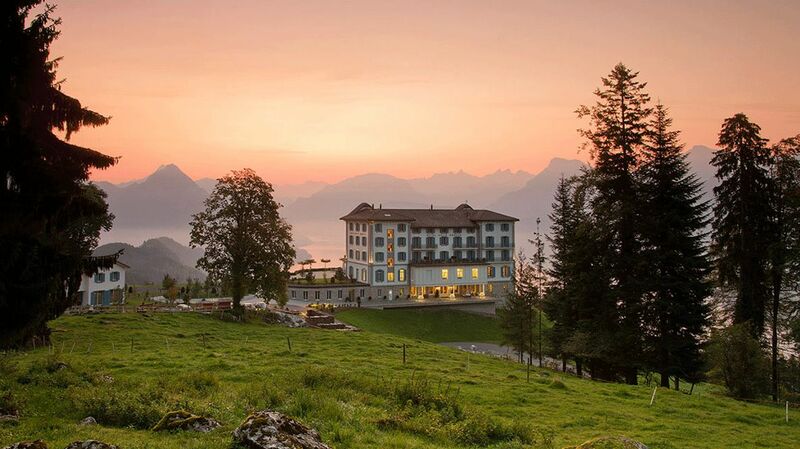 Make a splash on your timeline with a stay at the Hotel Villa Honegg, the iconic Instagram-worthy hotel with the world’s most recognized infinity pool. Perched above Lake Lucerne and surrounded by sweeping vistas of the Alps, this Art Nouveau-style villa oozes charm befitting a perfectly curated Instagram feed. Immerse yourself in the 34ºC heated outdoor pool and take in the soul-stirring views of the mountains and the lake or the billows of pillowy clouds in the valley below. These surrounding landscape are perfect for hiking in the summer and skiing in the winter. The photogenic spa isn’t the only thing the Hotel Villa Honegg is known for, as they are quite famous for their culinary creations too. And, what’s an Instagram feed without a few drool-worthy food photos? 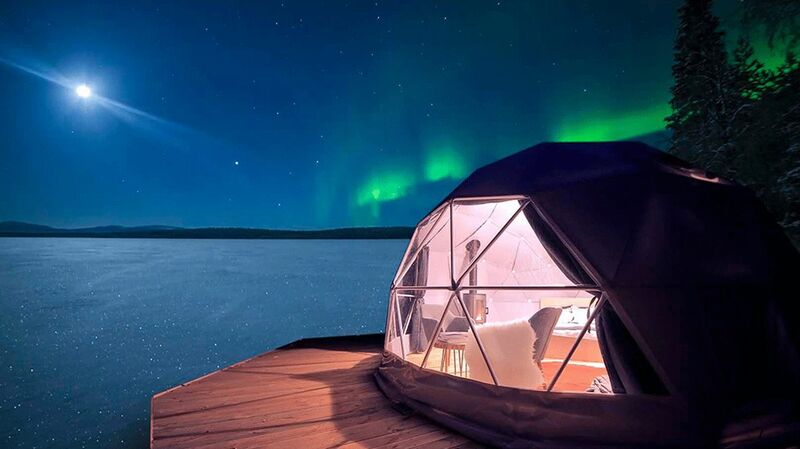 Experience the magic of the arctic from the comforts of an enticingly romantic glass igloo at the Levin Iglut, a very instagrammable accommodation nestled on a fell slope in Levi, Finland. Witness nature’s most spectacular light show, the Aurora Borealis, from the luxurious igloos that are certainly worth sharing on your Insta feed. This once-in-a-lifetime experience is ideal for couples and honeymooners looking for a romantic retreat, because hello, #couplegoal. Enjoy spectacular views, after a day spent skiing on the best slopes in Finland, snuggled up in the warmth of the stylish glass igloos or take a dip in the hot tub as you gaze into the starry night sky. The Levin Iglut is the bucket list destination that’s not to be missed. Ahh Paris – the City of Love and Lights. 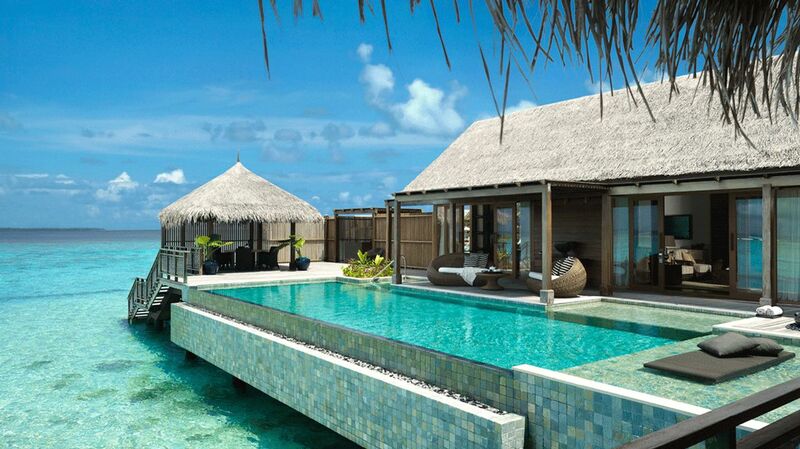 The place where opulence and indulgence knows no bounds and ethereal backdrops are at every turn. 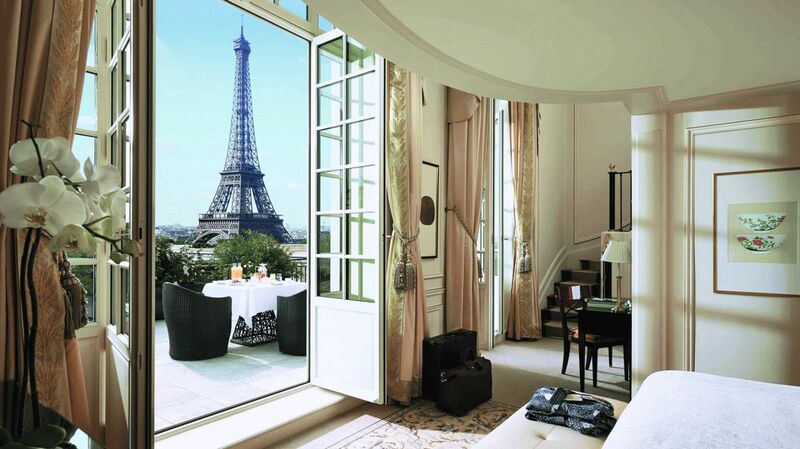 There is no better way to surround yourself in all this beauty than a stay at the coveted Shangri-La Paris, the most Instagrammable hotel in Paris. Set in a magnificent former palace, this swoon-worthy hotel is what fairytale dreams are made of. Savor a glass of Madère as you enjoy the postcard-perfect view of the Eiffel Tower lighting up the night sky from your suite balcony. As you make your way down to the lobby, make sure to snap a photo as you descend the grand staircase. With decor boasting old-world elegance on the inside and high-end fashion boutiques lining the nearby streets outside, the Shangri La Paris is the crème de la crème for Instagram influencers. Imagine white-washed buildings with pops of cobalt-blue domes dotting the cliffside and overlooking the enviable turquoise waters of the Aegean Sea. 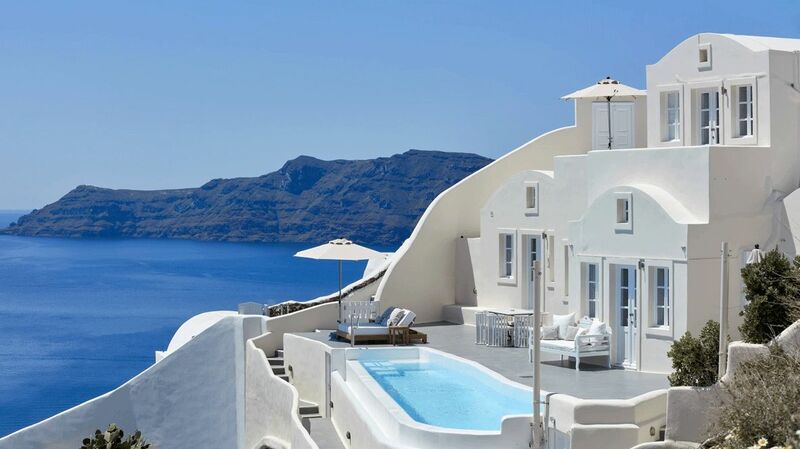 From A-listers to the Insta-famous, the Canaves Oia has people flocking to the luxurious property for the unrivaled views, sensational sunsets and romance that this magical Instagram hotel offers. With an infinity pool blending seamlessly into the sea, luxurious suites with private verandas overlooking the caldera and elegant al fresco dining areas, it is impossible to not get the perfect Insta shot here. Hop aboard a helicopter and capture the charming city from a bird’s-eye view and don’t forget to bring your waterproof camera for some majestic shots of the largest underwater caldera in the world. 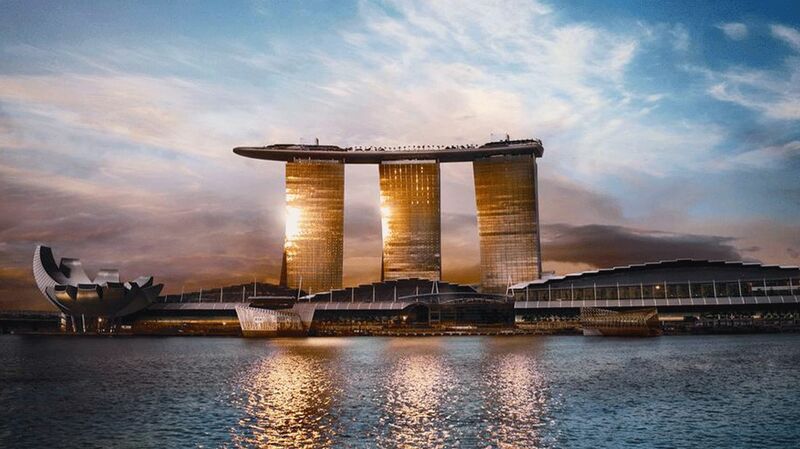 If you are looking for the most Instagrammable spot in Singapore, your search starts and ends with the Marina Bay Sands. In fact, this iconic hotel was named the most Instagrammable hotel worldwide, by Instagram itself in 2017. So, yeah, it’s kind of a big deal! With its unparalleled views from the world’s longest infinity pool, it’s no wonder it has earned the coveted title or why visitors flock here just to snap wanderlusty photos of the cityscape from 57 stories above the ground. Raise a glass to the good life, as you enjoy the views from one of the sleek rooftop bars on the Sands SkyPark, if for no other reason than to capture the obligatory Boomerang toast shot. Be aware that the pool is only accessible to guests of the Marina Bay Sands; however, the cost is worth every penny.